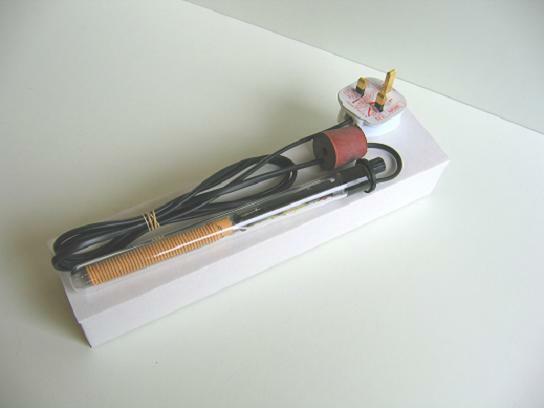 Homebrew immersion heater for stable fermenting temperatures. Adjustable thermostat for accurate control of your brew. Suitable for all sizes of fermenting vessel up to 25 litres, and can be used in glass or plastic containers. Standard size rubber bung with airlock hole. 240 volts 100 watts. The heater comes factory set to 24 deg C, and can be adjusted by the user from 14-34 deg C.
We are able to manufacture these heaters with outputs of up to 300w and maximum temperatures of 60 deg C. The adjustable range is always +/- 10 deg C from the set temperature.